England, who started the series in fifth position, have reached 10 points after nine matches while New Zealand still lead the table with 12 points. 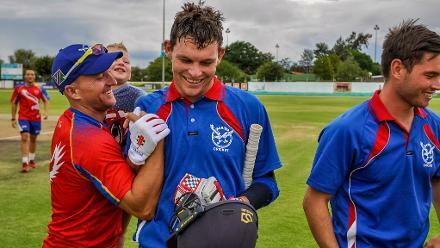 New Zealand remain at the top of the table with Australia in second place but having played three matches less than these two teams. Beaumont, Brunt, Devine and Kasperek move up in rankings. 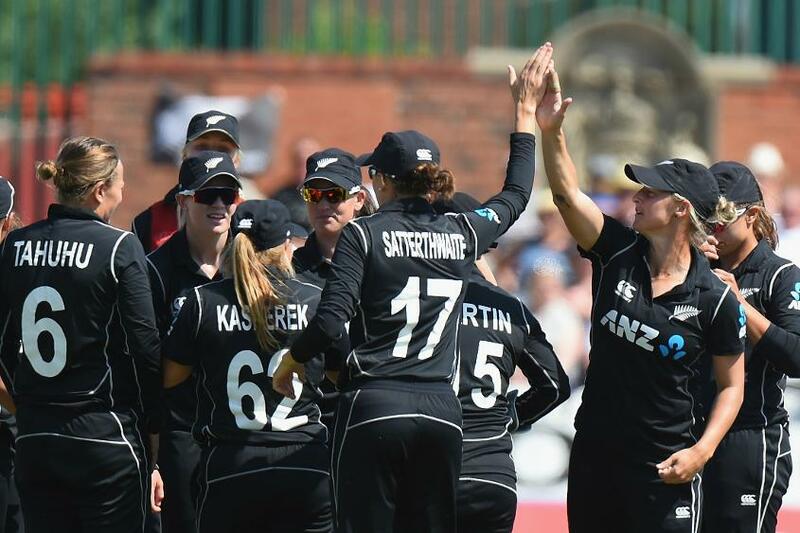 New Zealand captain Suzie Bates was relieved after her team pulled off a win in the last match of their ICC Women’s Championship series, which saw England move up to third place on the points table with the 2-1 verdict. England, who started the series in fifth position, have reached 10 points after nine matches while New Zealand still lead the table with 12 points from as many matches. Australia are in second place with 10 points but have only played two series (six matches) so far and will be eyeing the top spot when they take on Pakistan a few months from now. England, who had taken a 2-0 lead in the series before New Zealand came back hard in the final match, next play an away series in India. Bates conceded the home side had dominated them and are hard to beat. 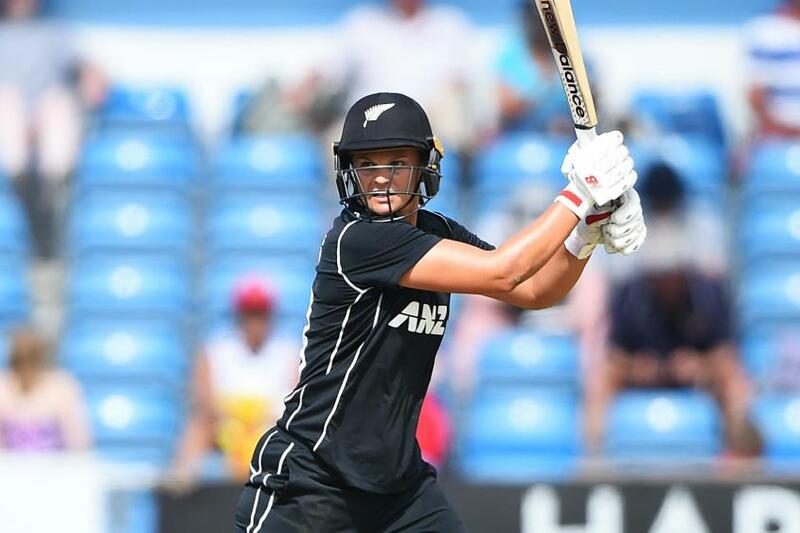 New Zealand captain Suzie Bates: “It was really nice to get that win, am just so pleased at the way the team bounced back after two disappointing matches. Sophie Devin’s hundred is what we had been asking of the top of the order for the whole series. For her to do that at the end of a long tour, when we had not been doing well, and then to have Haeley (Jensen) and (Leigh) Kasparek perform like that with the ball shows that we have some talent coming through. We have to be more consistent with those performances and need players to step up. “We did not play our best cricket but that’s credit to how they went about their business. They are very consistent. We have learnt a lot in the series. The first two games they were just too good. We found it difficult to take wickets, but in the last two games what was pleasing was that we bowled them out. There has been no change in points in the MRF Tyres ICC Women’s ODI Team Rankings after the 2-1 series result but some fine performances have resulted in notable movements in the MRF Tyres ICC Women’s ODI Player Rankings. 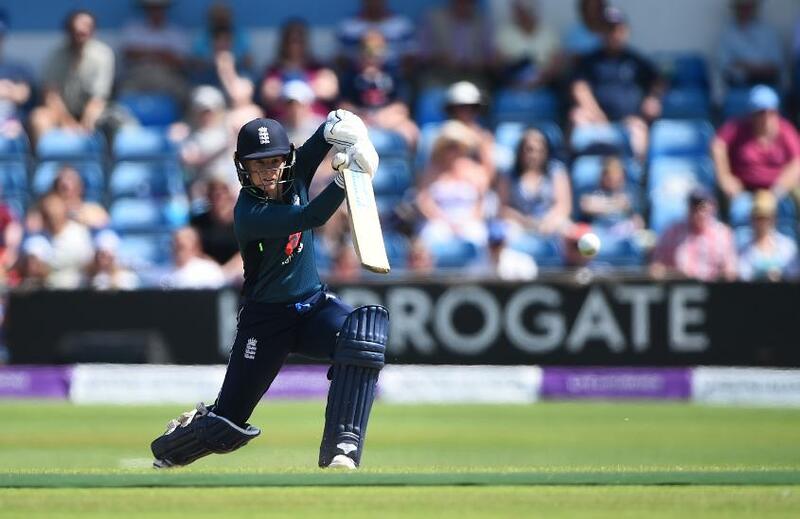 England opener Tammy Beaumont has moved up four places to sixth position after aggregating 160 runs in the series while New Zealand batter Sophie Devin’s series-topping 164 runs, including a match-winning 117 not out in the final match, has lifted her 10 places to 10th position. England’s Amy Jones (up 20 places to 32nd) and Katherine Brunt (up four places to 37th), and New Zealand’s Maddie Green (up eight places to 61) are the others to advance in the list of batters. 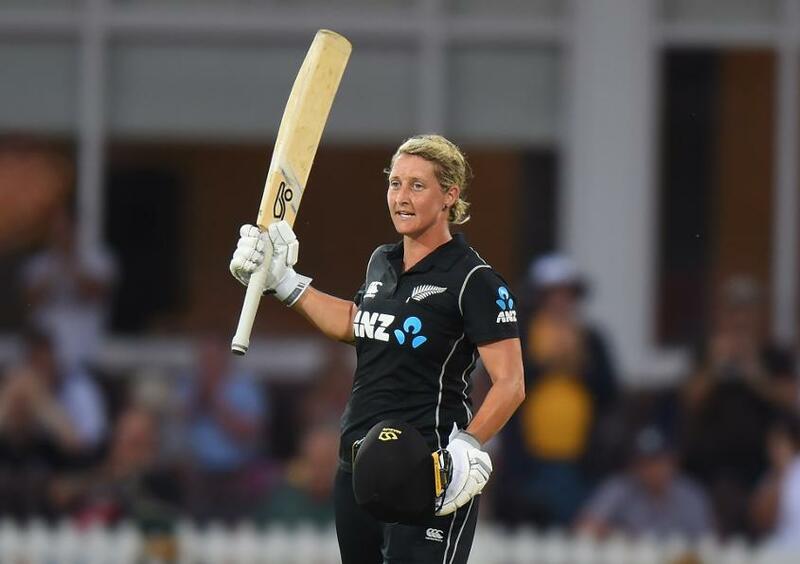 Brunt has also moved up in the list of bowlers, gaining five slots to reach seventh position while New Zealand off-spinner Leigh Kasparek’s eight wickets in the series have seen her move up nine places to take 16th position. 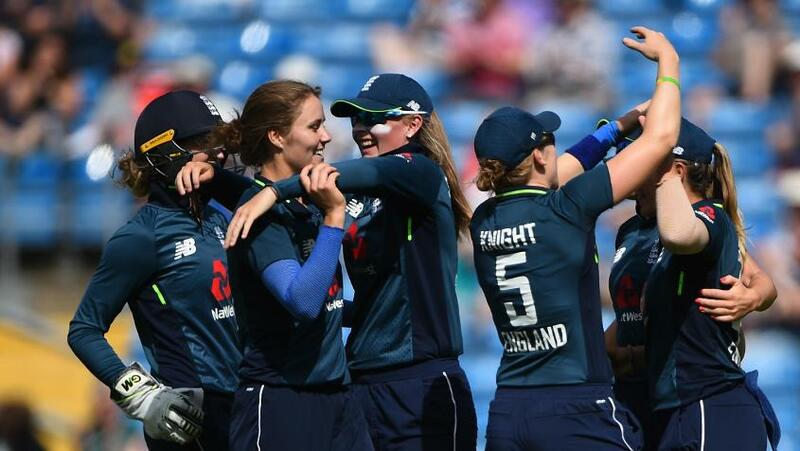 England left-arm spinner Sophie Ecclestone (up 14 places to 24th) and New Zealand leg-spinner Amelia Kerr (up three places to 20th) are other gainers in the latest rankings. New Zealand 118 in 38 overs (Sophie Ecclestone 3-14, Katie George 3-36). New Zealand 224-6 in 44.4 overs (Sophie Devine 117 not out, Sophie Ecclestone 2-39, Katherine Brunt 2-40).